With a win over Conn. College on Wednesday, men’s lacrosse ended their regular season and secured their spot in the playoffs. 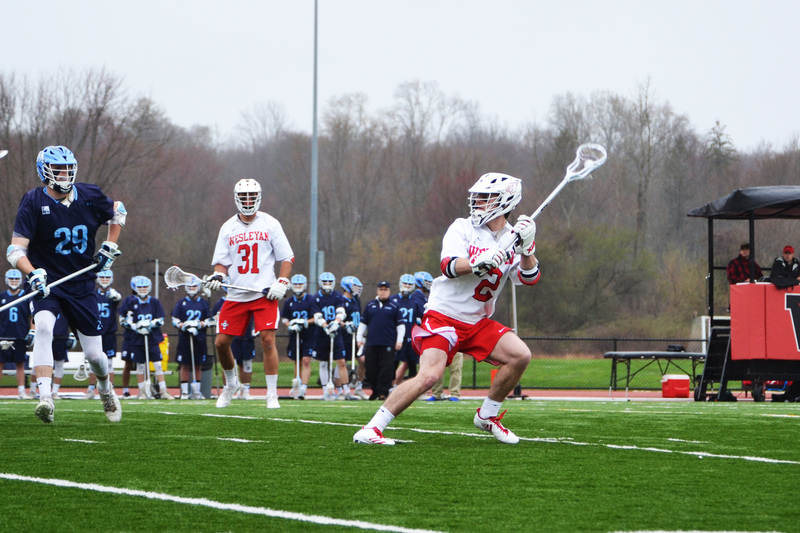 The Cardinals are one of the strongest teams in DIII college lacrosse, but they will face difficult tests, starting with their very first post-season match on April 28. Yet if their playoff run is anything like their regular season, the Red and Black are sure to dominate. The Birds pecked the eyes out of the Hamilton Continentals, edging them out in Clinton, N.Y. on April 21. The Continentals scored consistently throughout the four quarters while the Cardinals scored in bursts, delivering the ball to the back of the net four times in the first quarter and four times in the third quarter. As usual, Wesleyan shared the ball, with three different players scoring two goals each. The team also outshot and turned the ball over less than Hamilton, but the rest of the stats were fairly matched between the two teams. The result was a narrow 8-7 victory for the Birds. In the following game, the Cardinals faced the Conn. College Camels. The Battle for Central Connecticut was hard-fought, though the Dirty Birds came out on top. Like their namesakes, who store reserves of water, the Camels had tons of energy saved for the fourth quarter, during which they scored four goals. (Camels actually do not store water in their humps, but the joke was too tempting.) The late rally was in vain, however, as it was not enough to overcome the commanding Cardinal lead. The Cards outplayed the Camels in shots, ground balls, and face-offs, earning a 15-11 win. Ronan Jacoby ’21 had another amazing game, racking up four goals and two assists. He finishes the regular season with 54 points. Jacoby joins Harry Stanton ’18 on the list of players in the NCAA DIII with the highest average goals per game. Stanton sits at 21st place while Jacoby comes in 49th place of all Division III players. Beyond goals, the success of the team is owed in large part to selflessness. Carter Hawthorne ’19 is a testament to this. His 40 assists on the season averages to 3.08 per game, which is seventh best of all Division III players. Hawthorne’s big numbers earn him a spot with Stanton in the top 100 point scorers (which include goals and assists) in DIII lacrosse. As a team, the Cardinals have 121 assists on the season, roughly 8.64 per game. Those numbers are daunting for opposing defenses, and the first opposing defense Wesleyan has to face is that of Bates College. Unfortunately for the Birds, the Bobcats held their own earlier this season. It’s difficult to tell how the two teams will match up because they first played each other at such an early point in the season. On paper, the Cardinals have the edge being ranked fourth in the North region, 11 spots in front of Bates. But a matchup against any NESCAC team isn’t easy; eight of 16 ranked teams in the North region are NESCAC members. 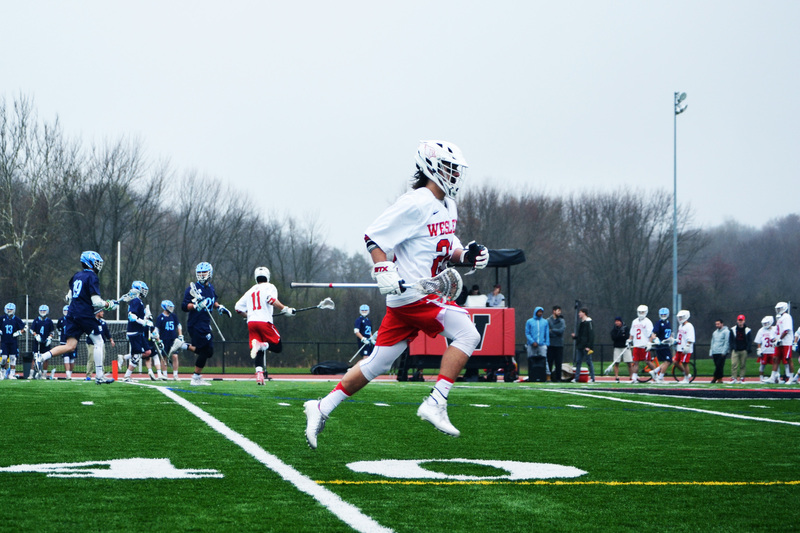 The Cardinals are currently ranked sixth overall in DIII lacrosse, trailing NESCAC rivals Amherst and Tufts University. The Mammoths were downed by the Birds earlier this season, earning Wesleyan another Little Three title. Following that achievement, the Cardinals will look to repeat their success from last season, when they won the NESCAC championship. Despite being underdogs (or underbirds? ), the team has a good shot to defend the NESCAC title because of the many underclassmen that have become key players over the course of the season. That momentum gives the Cardinals an edge over their Little Three competitors. Yet the downside to the strength of the underclassmen additions is that they are inexperienced in the postseason. How will the young players hold up under the added pressure of playoffs? Will the team crumble? Or will veterans like Hawthorne, Stanton, and Taylor Ghesquiere ’18 lead the team to victory? Find out this Saturday, April 28 when the Cardinals host the Bobcats in a contentious, high-stakes quarterfinal.